Whether or not to claim bankruptcy is a big decision for anyone, or any business. It’s also a lot harder that many people think. 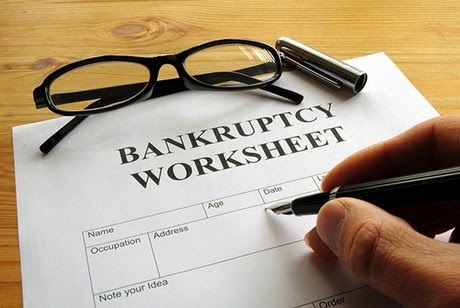 There are a number of factors to bear in mind when filing for bankruptcy and it’s best to have an idea of what you’ll be facing, before you begin the process. Once bankruptcy is declared and the legal and financial wheels creak into motion, it’s too late to have second thoughts. You can find out quite a lot of detail regarding what’s involved in claiming bankruptcy via websites like debtrescue.com.au and other debt counseling advisory agencies. Below is an idea of what to expect once you decide to claim bankruptcy. While going through the process of bankruptcy, you will have to pay legal fees. You will need a lawyer with specialized skills and these sorts of professionals charge very high hourly rates. They also, given their area of expertise, often require payment upfront. Hiring one of these legal eagles will put you under more financial stress and it’s good to be prepared. Be prepared to sit in a lot of meetings and fill out a lot of paperwork – and make copies and chase documents. Every facet of your finances and assets will be examined with a microscopic attention to detail. All your creditors will be contacted and word will get out, so there will also be a high emotional cost for you to deal with as well. The entire situation can place you under significant mental stress. You may find yourself prone to sleep and anxiety disorders, and situations like claiming for bankruptcy have also been linked to depressive episodes. Be prepared to lose control over any and all financial decisions. Who gets paid what, and in which order, will no longer be your call. These decisions will all be made for you and you will become quite sidelined as the process moves forward. While being deeply in debt with seemingly no way out can make you feel depressed and powerless, claiming bankruptcy is unlikely to alter that feeling. In fact, it may compound these negative emotions. People going through the lengthy and convoluted bankruptcy process often need to seek therapists or counselors just to help them deal with the emotional upheaval they experience – and once again, these services are not always free. Lastly, claiming for bankruptcy does not necessarily solve the core problem. If poor money habits and a lack of financial literacy were major factors in getting you so deeply into debt that bankruptcy seemed like the only way out, and you’ve done nothing to alter those behaviors and spendthrift ways, there is a very good chance that you will wind up in this exact same place again – and again. Many people declare bankruptcy because they say they ‘don’t have enough money coming in’. If you handle money badly, no amount of income will ever be enough to stave off financial ruin. Have you, or has anyone you know, ever claimed bankruptcy? Share your story in the comments box below.